Will Calloway speaks with The Maroon as votes come in Chicago. Gabriel Piemonte, who finished third in the race for Fifth Ward alderman, endorsed his former competitor William Calloway in the runoff against incumbent Leslie Hairston. 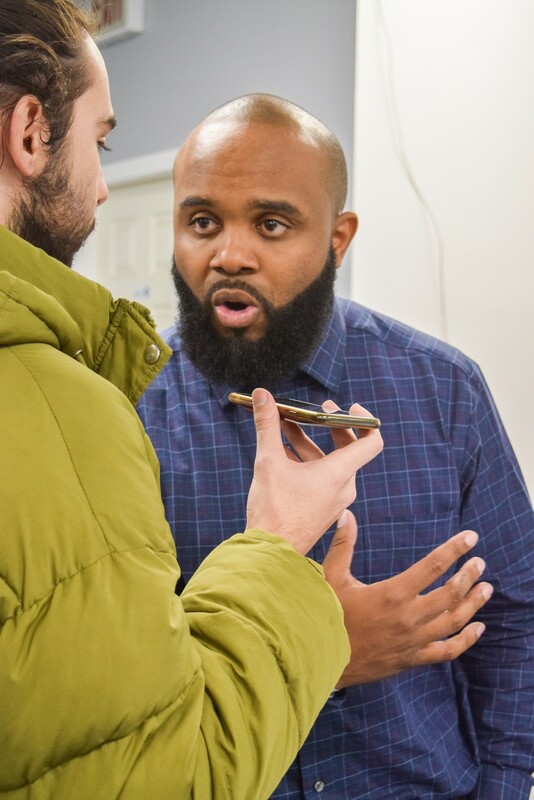 Calloway, a former community organizer, worked with Piemonte to take more than 50 percent of the vote in order to force a runoff between Hairston and the second place finisher. Calloway finished with 26.74 percent of the vote, while Piemonte took 24.74 percent. Although Piemonte told The Maroon on election night that he would be “heartbroken” to not be Hairston’s opposition in the runoff, he formally endorsed Calloway at an event they co-hosted on March 9. “I’m here to say that I’m going to do what I can to make sure that he gets in. He is the man for the job,” Piemonte said in a speech.